Shutters fitted really well. Delighted with them. We love our new shutters. Thank you so much. Excellent workers. Left the place spotless before they left. Thanks Sarah for all the help you gave us. We love them. We love our new shutters. Thanks so much. 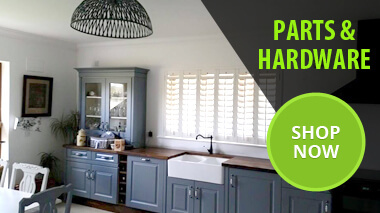 Quality Build – Our shutters are made by qualified crafts people and constructed using traditional mortise & tenon joints. Quite simply the best you can buy! 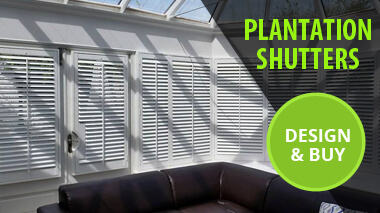 Comfort Drawings – For your peace of mind, we send you drawings of your shutter order to check and confirm before we begin production. Frame Designs – A vital component in your shutter project. And we have 8 designs including Insert L Frames which conceal the screw fixings. Measure & Install – If DIY’s not your thing, we offer a professional measuring and installation service in selected areas. Parts & Service – Accidents will happen, and our online store has a complete range of spare parts and accessories, including replacement louvres! 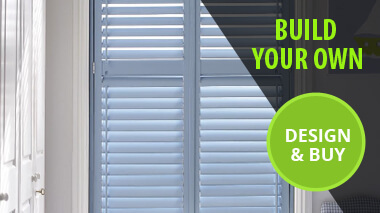 Know How – All our customer service people have measured and installed shutters as part of their training, so you can rest assured they know what they’re talking about!